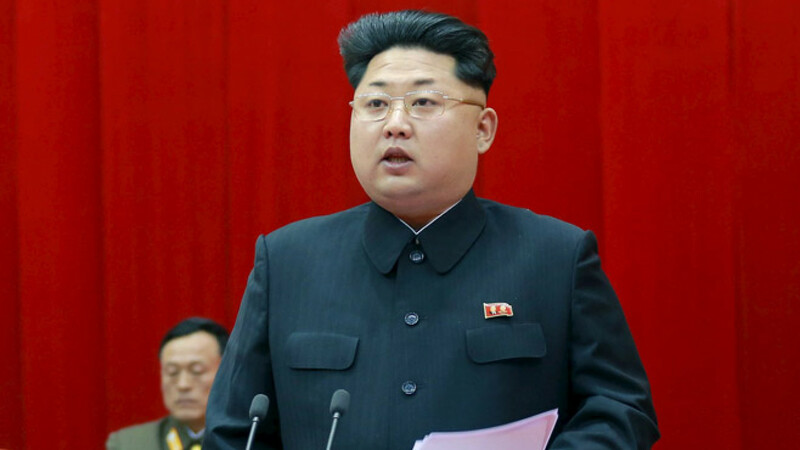 North Korean leader Kim Jong Un speaks during the 5th meeting of training officers of the Korean People's Army in Pyongyang Apr. 26. North Korea has not yet booked a hotel in Moscow for leader Kim Jong Un's anticipated stay during Moscow's Victory Day festivities, a member of the South Korean parliament's intelligence committee, Shin Kyung-min, quoted an unnamed National Intelligence Service official as saying. But North Korea's embassy was equipped to accommodate its leader, Shin said. The visit would be Kim's first overseas trip since he took power in 2011 after the death of his father. Russia has said Kim would attend the May 9 event marking the 70th anniversary of the war's end in Europe, although officials in Seoul have cautioned that there was no official confirmation from the North. Some analysts have questioned whether Kim, believed to be in his early 30s, would choose for his first overseas visit an event where he would share the stage with several leaders and have less control over proceedings than in a two-way summit. South Korean President Park Geun-hye has decided not to attend the function. U.S. President Barack Obama and many European leaders are staying away, but Chinese President Xi Jinping and the heads of many former Soviet republics are expected to attend.